Earlier in the week Newfoundland Hockey Talk published an article titled HNL’s “AAA” Mindless Reorganization and The AAA Competitive Imbalance, articles that have attracted a lot of attention with close to 4500 views and hundreds of shares on social media. It has also drawn some comments from parents, organizers and volunteers involved with AAA hockey here in the province. There is an overwhelming sentiment with parents and volunteers that Hockey Newfoundland and Labrador (HNL) made a total mess out of the AAA. Many see the current format making it impossible for teams “outside the overpass” to compete with teams in the St. John’s area. One parent who spoke with NL Hockey Talk told a story of how her children were forced to travel hours for practices if they want to compete at the elite level. She indicated that it makes it difficult for her children to be involved in anything else outside of hockey. Others have expressed concerns over what AAA is doing to the local leagues. Several parents, coaches and volunteers have indicated that being involved in AAA means that local leagues suffer. Teams struggle to find enough players to ice competitive teams in the local leagues, practice times are reduced and the whole arrangement “takes the fun out of the game”. The article also attracted some attention from individuals associated with HNL. It was somewhat surprising given that in over 10 years of asking for HNL to provide comments on stories, ideas and press releases for our site, there was never any desire to do so. Every request was generally ignored as was the request to provide comment on the article criticizing HNL’s reorganization of Newfoundland AAA hokey. Even though these two individuals are involved with HNL, they did not reach out to NL Hockey Talk in any official capacity, opting to use their personal email addresses to correspond (read into that what you want). That being said, at least two people contacted Newfoundland Hockey Talk indicating that the decision to reorganize AAA was brought to the annual general meeting. Apparently there was not a whole lot of opposition to what was done and the resolution passed without much debate. Both individuals indicated that the articles written contained some truth and merit to the criticisms being directed at HNL. However, rather than providing solutions to the situation both wanted more to question the site’s “credibility” with respect to the sources used in generating the articles. Apparently us having talked to parents, players, coaches, executives & former executives via email (and in some cases in person), the articles and our site lacked credibility because they were “private conversations”. Newfoundland Hockey Talk was contacted and asked to look into the current AAA situation and the decision that HNL had made to reorganize the sport. While we don’t’ have “reporters” employed (we are a volunteer site), some people submitted comments, opinions & thoughts around the issue because they wanted their voice heard on a much larger scale. NL Hockey Talk provided that scale. Reporters do exactly the same thing when they talk to people when researching the story. Just because we did not explicitly reveal our sources does not make the points raised any less valid. There is never any guarantee or promise that things will not be incorporated into an article. Even for many mainstream reporters, “off the record” simply means people have to find individuals who will go “on the record” to get the things in print. As a sports blog, rumours, comments and conversations are a part of the hockey community (hear any trade rumours?????). From a credibility perspective, parents, coaches and volunteers have made it known they feel that HNL has zero credibility at the moment and see that HNL is not only impacted hockey at their level but the game in general. They speak about the Herder fiasco last year where the Royals and Cataracts had no idea their playoff series would be for the Herder Memorial Trophy until hours before the game started. They speak about the Herder experiment from several years back where Corner Brook and St. John’s were designated as the “Herder Venues” (attendance was the lowest in history for that series and the experiment a failure). They speak about the lack of support the local leagues are receiving from hockey’s governing body here in the province and to them it is apparent that these decisions are biased to favour St. John’s and the surrounding areas. The whole point is that parents are now speaking out in public about what is taking place at the AAA level. 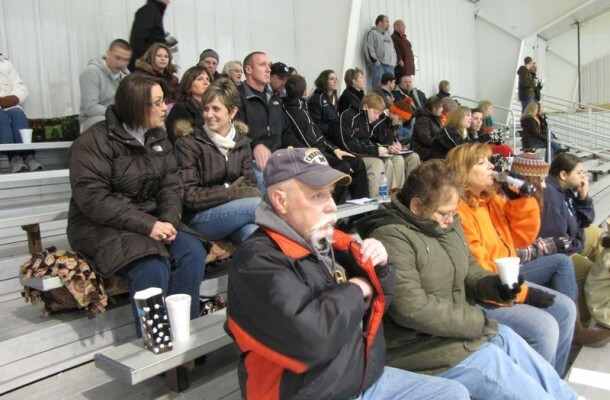 At the local arena, the articles were the topic among parents. They all indicated that not only did the article “nail it” but that there were many other aspects to the decision that needed to be given coverage. Parents, coaches and volunteers alike were more than willing to speak out and are seeing how HNL’s decision has negatively impacted the game. HNL is more than welcome to respond to any of the criticisms and in fact, we encourage an official response. Here at Newfoundland Hockey Talk we know that will never happen. It is apparent that HNL is not concerned about what the fans, parents, players, coaches and organizers see is happening to the game we all love. Have a comment, concern or story idea? Drop us a note or leave a comment on this story. Great article ! Also add into HNL great decision making about taking checking out of bantam and midget except for the A division. The only team in the A division out side the Don Johnson league is the Gander A team. Think about it only 105 kids are playing contact hockey in the A division in all NFLD. Thanks for the great comment Rick. Seems many people are unhappy with HNL. The minor hockey provincial grading report compiled by hockey nl is also a farce. There are teams below D division in the report that are beating B division teams and B division teams that can’t beat D and below teams. There doesn’t appear to be much analysis in deciding which teams are placed in certain divisions. Theres very limited or no consultation with head coaches in regions and teams are sent to remote areas for Easter tournament with limited accommodations resulting in high costs and forcing parents to use several holidays. Game scores from rep teams are sent to regional hockey nl reps but it appears no consultation takes place with minor hockey associations. There has to be better analysis for ranking teams. Most A division teams are from Avalon. Similar to AAA dilemma where an upper echelon is created for St. John’s teams. Teaching kids how to properly check at a young age preparing them for higher levels of hockey is how to approach it. There are house leagues that are available for kids who don’t want to play contact sports. Checking is more about obtaining body position to take possesion of the puck not the big hit. Teaching kids how to properly play the game is key not taking away one of the most important parts of the game. HNL needs to give a another look at things.